ProsCloudways lets you choose your hosting, manages your server setup, installs applications and managed them for you. Bottom LineYou are paying for cloud hosting and a management service. Everything that can be automatic, is. When you need to customize your site, Cloudways support will handle it for you. Customer support and going server maintenance is the main reason I picked Cloudways. The price for the service and cloud providers is also better then most. 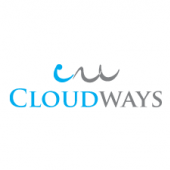 Cloudways aren't cheap, but initially seemed worth the for us money. Unfortunately as time went on, they made mistakes that cost us significant amounts. Upon complaint they made excuses, and on cancellation got sarcastic. Very disappointed. Get managed cloud hosting for hundred of different apps. Sign up in just a few minutes. Pick your hosting company, then which apps you want to install and Cloudways will automatically handle the rest. If you want something special installed like a template or component, just tell support and they will help you out. 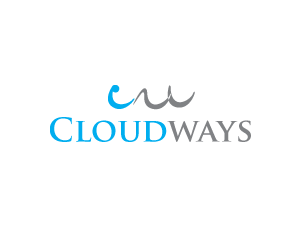 Cloudways started in 2009 as a cloud application deployment, management and infrastructure management provider. This means they manage the installation of applications like Joomla, help you customize it, and watch server performance on your behalf. The company was founded by Uzair Gadit and Pere Hospital. They have 10+ employees. Their main office is in Malta, but the cloud datacenters are all over the world. Click&Go Cloud starts at $14.95/Month which comes default with a RackSpace account with 10GB space and 1GB of data transfer. This plan gives you access to one server in the cloud to install multiple applications on. Power Cloud starts at $99.00/Month which you must call for a quote. This plan gives you the ability to have applications running on different servers, giving each server a different role. All hosting is cloud based. Customers can choose from several different cloud hosting providers to use. Include Amazon, RackSpace, Softlayer and more. The server setup is easily configurable before setup. Cloudways will help you install applications, custom configure applications and give you daily backups. Joomla is one of 100+ applications you can install using Cloudways. You can visit their site and set up a trial version of Joomla in 5 minutes and 2 clicks of the mouse. Try it out. Tech support is available 24/7 via chat and support ticket. If you want a professional to handle your application and server customization without hiring someone, Cloudways is the answer. Their automated process simplifies everything. Get your server configured in minutes, application installed in no-time, and add customizations to your applications at no extra charge.